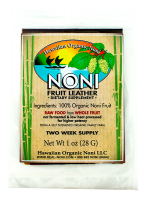 Our raw food organic Noni Fruit Leather with 165 beneficial compounds is used to help support overall health, wellness and energy. 14x more potent than nonijuice Low heat processed from non-fermented nonipulp Provides natural antioxidant protection against free radical damage Boosts the immune system Supports a healthy responseto...Learn More! Noni Fruit Leather 2oz Our raw food organic NoniFruit Leather with 165 beneficial compounds is used to help support overall health, wellness and energy 14x more potent than noni juice Low heat processed from non-fermented nonipulp NoniLavender Lotion 4oz A ready-made lotion version of Noni Fruit Leather that...Learn More! 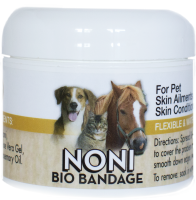 A ready-made lotion version of NoniFruit Leather for topical relief from pain and inflammation Soothing Pain Relief for Arthritis and GeneralPain Prevents Muscle Fatigue and Cramps Promotes Relief for Sprains, Bruises, Stiffness and Inflammation ...Learn More! Enhanced IcyHeat Formula Prevents Muscle Fatigue and Cramps Soothing Pain Relief for Aching Joints and Muscles Promotes Relief for Bruises, Sprains, Stiffness and Inflammation Optimal for Those With an Active Lifestyle New and Improved Applicator Tip ...Learn More! 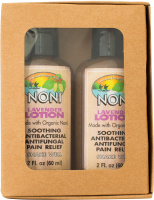 Your favorite Noni Lavender Lotion and IcyHeat NoniLotion are now available convenient 2 oz bottles Our new 2 oz bottle travels with ease through TSA PerfectGiftSet for Friends and Family You Select your Favorite Combination of Lotions to Suit your Needs ...Learn More! Now it is easier than ever to use noni fruit as an external health aid. 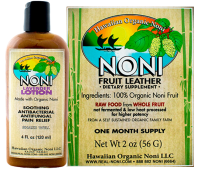 A ready-made lotion version of NoniFruit Leather that can be applied topically. Works great for skin irritations. Supports healthy joint function and comfort Helps to calm and soothe muscles Soothes irritated skin Promotes skin clarity, reduces appearance of...Learn More! Now it is easier than ever to use noni fruit as an external health aid. A ready-made lotion version of NoniFruitLeather that can be applied topically. Works great for skin irritations. Supports healthy joint function and comfort Helps to calm and soothe muscles Soothes irritated skin Promotes skin clarity, reduces appearance of...Learn More! Now it is easier than ever to use noni fruit as an external health aid. A ready-made lotion version of NoniFruitLeather that can be applied topically. Works great for skin irritations. Supports healthy joint function and comfort Helps to calm and soothe muscles Soothes irritated skin Promotes skin clarity, reduces appearance of spots...Learn More! 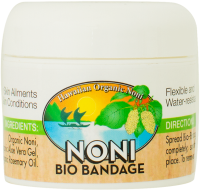 A ready-made lotion version of Noni Fruit Leather for topical relief from pain and inflammation Soothing Pain Relief for Aching Joints and Muscles Prevents Muscle Fatigue and Cramps Promotes Relief for Sprains, Stiffness Inflammation ...Learn More! 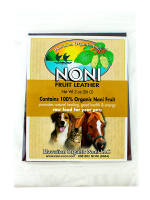 A ready-made lotion version of NoniFruit Leather for topical relief from pain and inflammation Soothing Pain Relief for Arthritis and General Pain Prevents Muscle Fatigue and Cramps Promotes Relief for Sprains, Bruises, Stiffness, andInflammation ...Learn More! 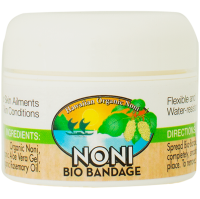 A ready-made lotion version of NoniFruit Leather for topical relief from pain and inflammation Soothing Pain Relief for Arthritis and General Pain Prevents Muscle Fatigue and Cramps Promotes Relief for Sprains, Bruises, Stiffness Inflammation ...Learn More! May soothe skin irritations Helps reduce the appearance of blemishes Flexible and Water-Resistant ...Learn More! 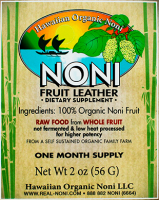 Our raw food organic NoniFruit Leather with 165 beneficial compounds is used to help overall health, wellness and energy. Low heat processed from non-fermented nonipulp Promotes natural healing, good health energy Boosts the immune system Supports a healthy response to inflammation Improves overall quality of life ...Learn More! Now it is easier than ever to use noni fruit as an external health aid. A ready-made lotion version of our NoniFruit Leather that can be applied topically. Works great for multiple skin irritations. Calm and soothe muscles Soothes skin irritations Promotes healthy looking skin Contains important antioxidants Promotes good...Learn More! Click Here to Buy 9 And Save 15%! Now it is easier than ever to use noni fruit as an external health aid. A ready-made lotion version of our NoniFruit Leather that can be applied topically. Works great for multiple skin irritations. Calm and soothe muscles Soothes skin irritations Promotes healthy looking skin Contains important antioxidants Promotes good hair...Learn More! Soothe skin irritations Rejuvenate skin Flexible and water-resistant ...Learn More!